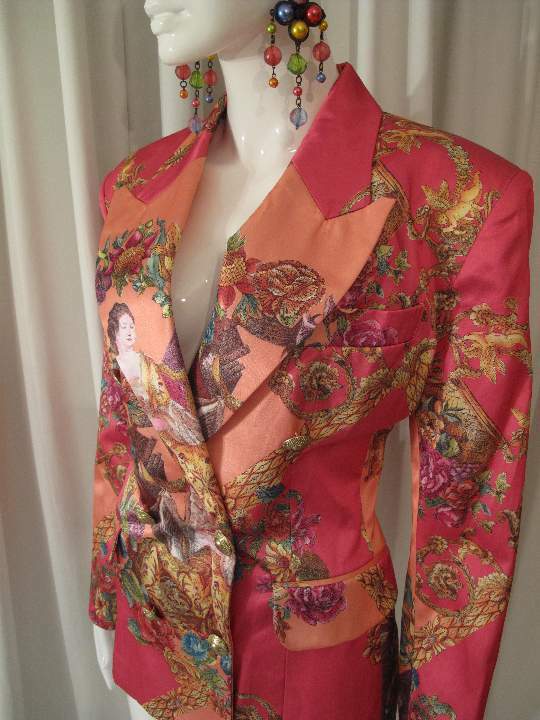 1980's Roccoco print sateen tailored jacket. 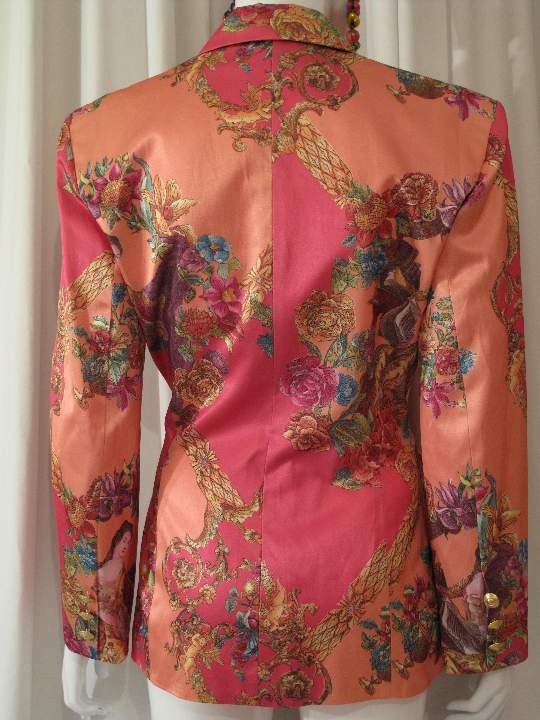 Double breasted, fitted, cotton sateen jacket with gold rope effect buttons. 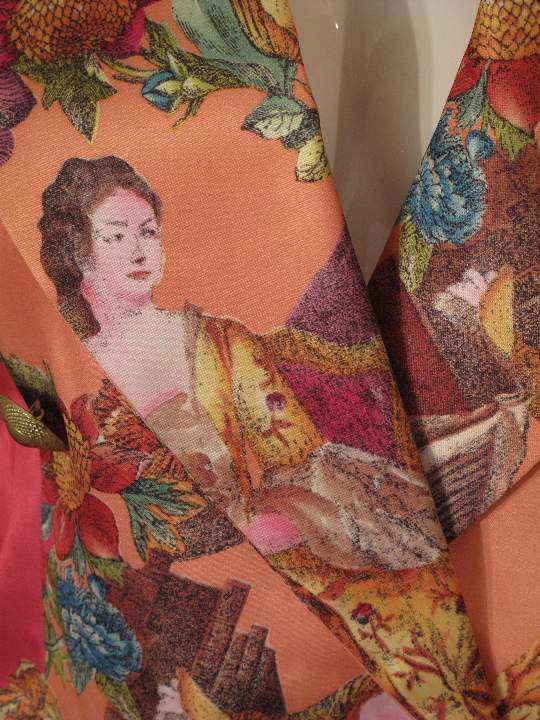 The OTT print is on a background of shocking pink and salmon pink. There are scrolls and cherubs in gold, with vignettes of ladies from Versailles. 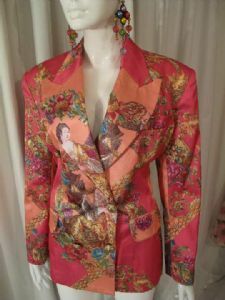 This piece is pure 80's excess, flashy and bold, infiuenced heavily by Versace, who was huge at the time. Allover printed tailoring is very 'on trend' at the moment , this is the original deal. Purchased in Paris in the 1980's UNWORN.